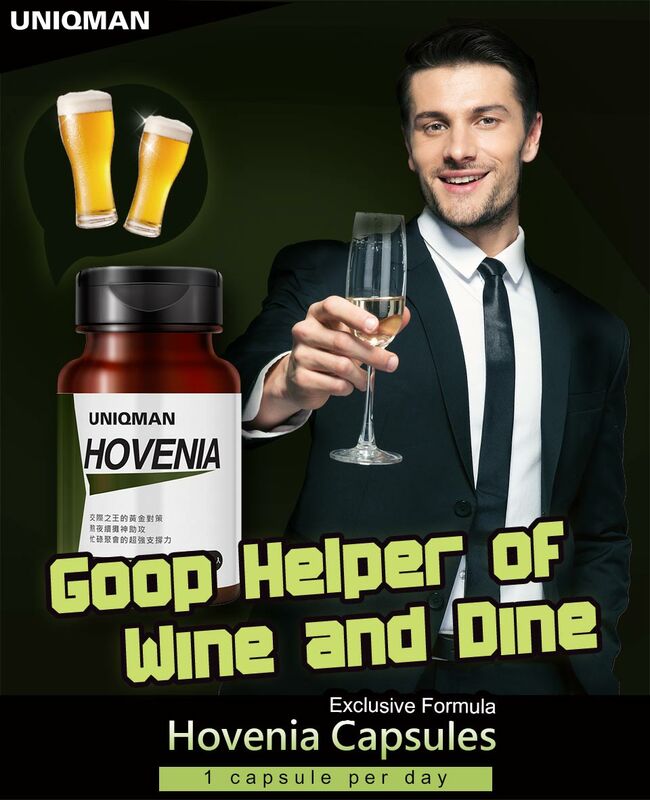 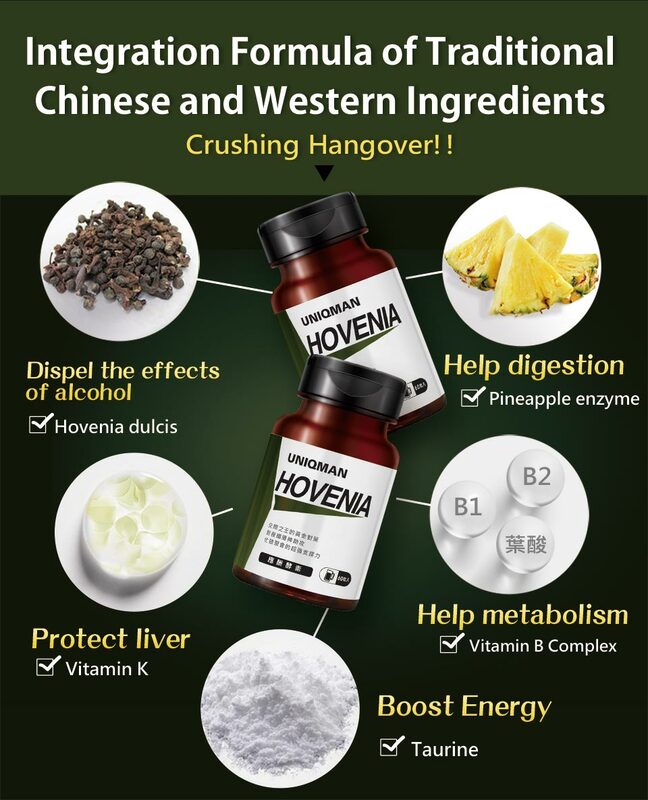 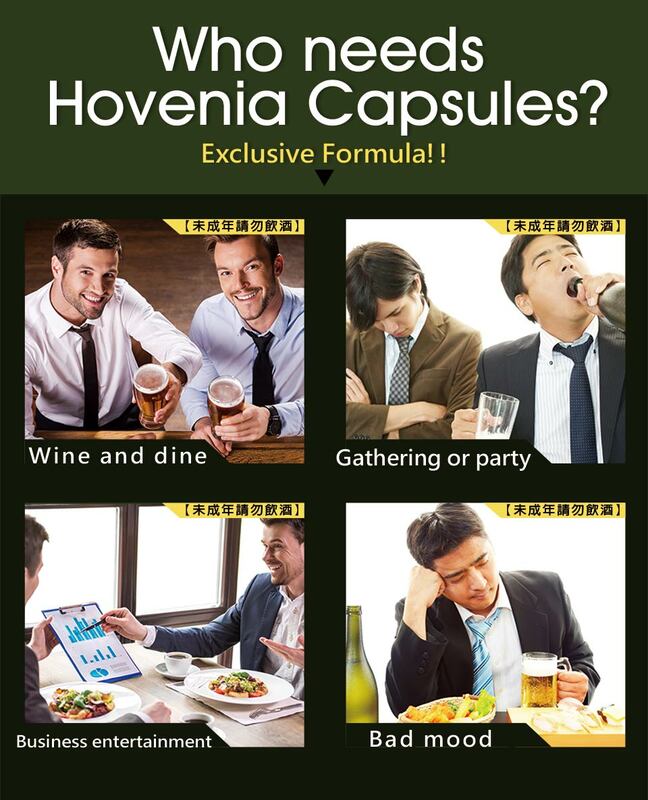 Hovenia Capsules is highly effective in dissolving alcohol and facilitating the detoxification of the liver. 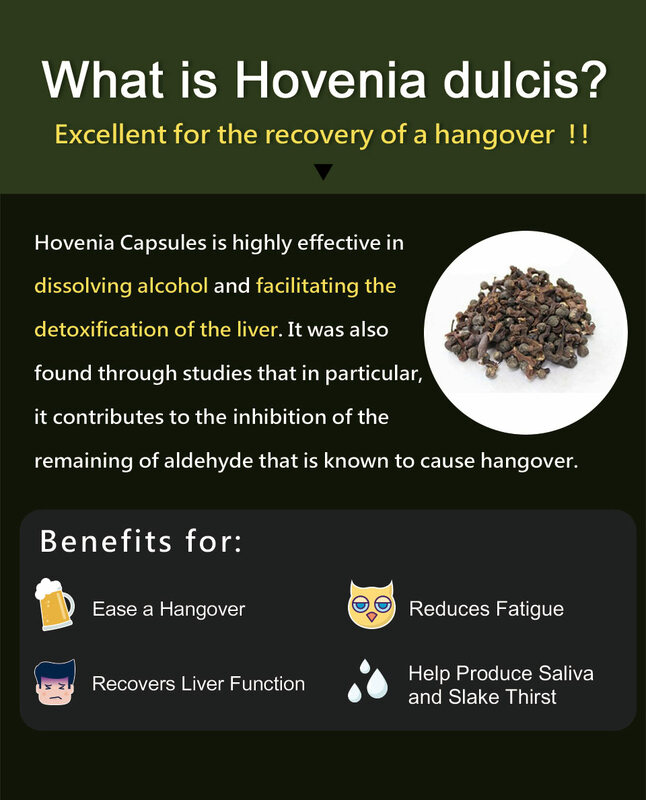 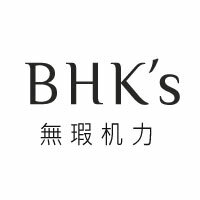 It was also found through studies that in particular, it contributes to the inhibition of the remaining of aldehyde that is known to cause hangover. 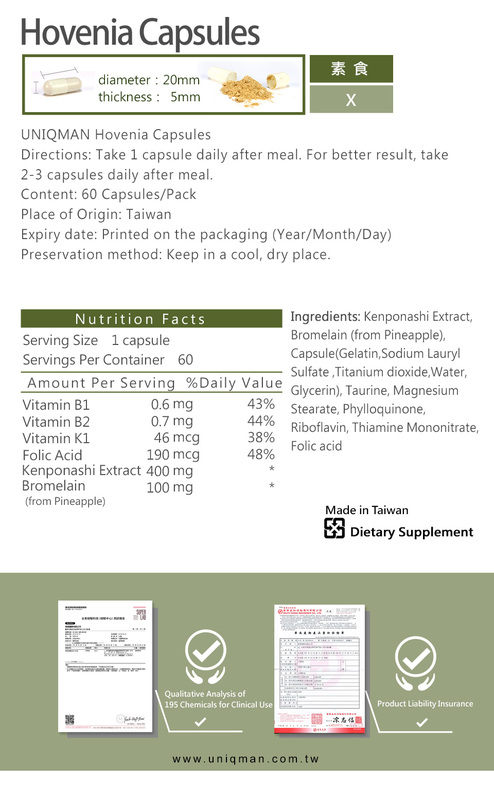 For better result, take 2-3 capsules at once. 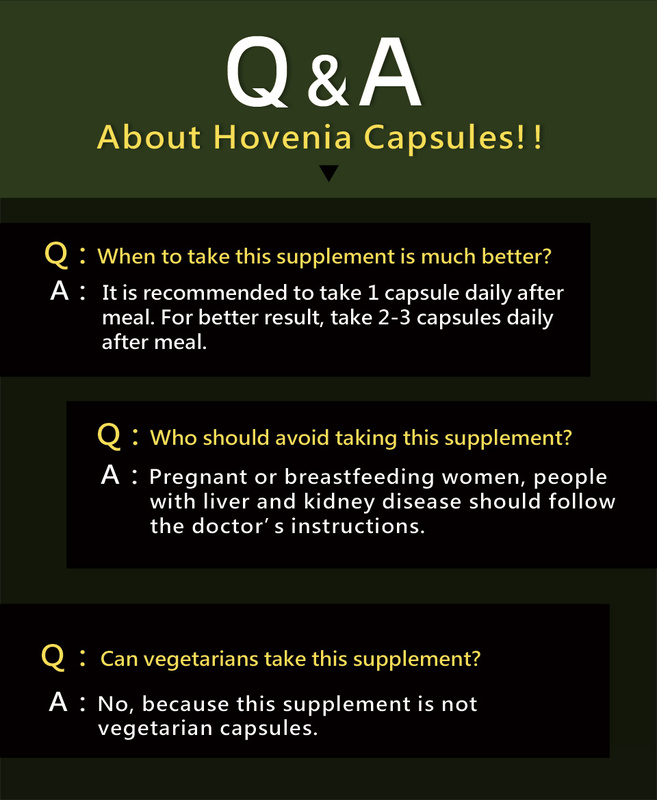 Do NOT take more than 3 capsules per day.